A great number of papers were published during the last years on biochemical development of the liver in mammals. 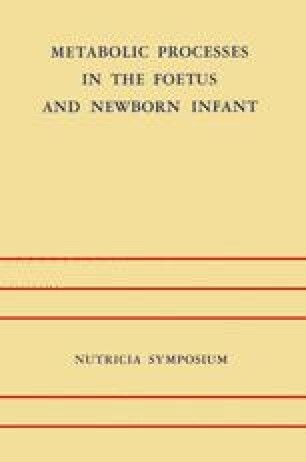 It can be stated that a rather extensive knowledge was reached on variations of the most important enzyme activities during foetal and neonatal life, and that in many instances their physiological significance was clarified (I, 2). Supported by a research grant from Consiglio Nazionale delle Richerche n. 70.01184.04.115.4019.